SVT is not like other health challenges. The nature of an SVT’s sudden and seemingly unpredictable on-set, as well as the current limited treatment options can make patients feel fearful, stuck and out of control. Before we can learn to effectively treat SVT using an integrative approach, we have to adopt new ways of perceiving it. If you feel overcome by SVT and related anxiety, hate your SVT and feel like it’s the worst thing to happen to you, it’s time to shift your thoughts, and implement a new SVT mindset. True healing begins with changing your perception, patterns and feelings about SVT. Right now, the SVT Fear Factor feels real and all-consuming. Any kind of change, healing and transformation begins with changing your thoughts, feelings and perception. “SVT is your catalyst. It is an opportunity to evaluate and address that which is out of balance in your life. It is driving you to rethink and reprioritize the details of your diet, lifestyle and daily habits in order to reset your entire health and even your direction in life. If your SVT is a catalyst for change, then what do you need to change?” …. If you need help shifting your mindset around your SVT, I have 3 resources to help you…. 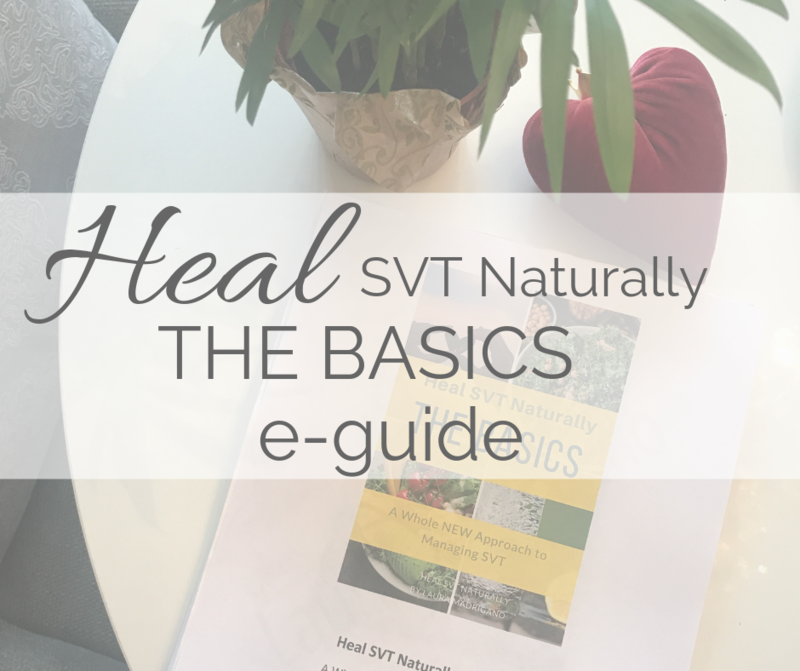 In my first e-guide in the HEAL SVT Naturally empowerment series, I begin with the over 6 pages on how to change your SVT mindset. To learn more about this guide and download it, click image for details. I LOVE using Instagram for inspiration and motivation to help people on their healing journey. 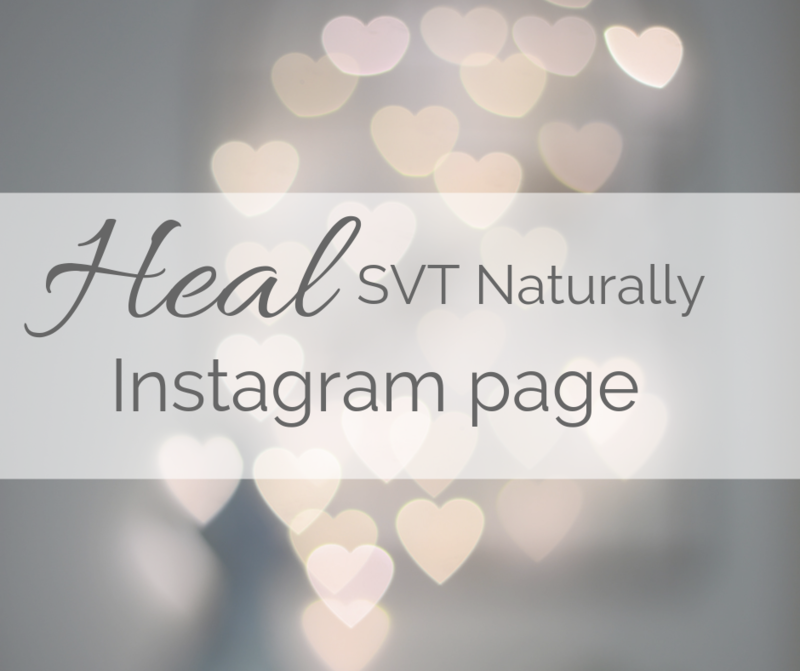 If you want to follow the Heal SVT Naturally Instagram page to help you learn my tips for staying positive, click on the image to go to my instagram page. My favorite healing companion tool to help you change your mindset, is journaling. This FREE and powerful self-healing tool is what I used to really help me in every area of my health and life. 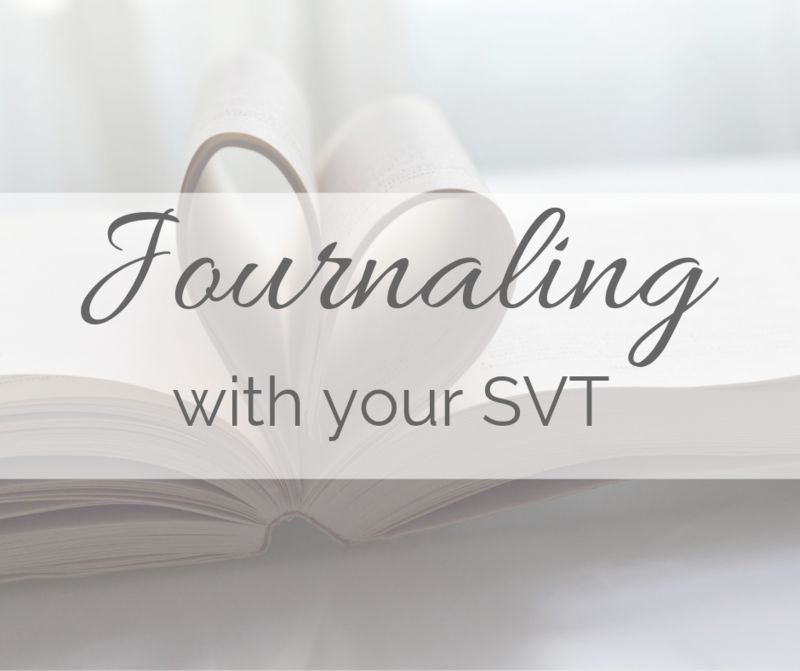 To learn more about how to use journaling, visit my new SVT journaling page by clicking on the image.